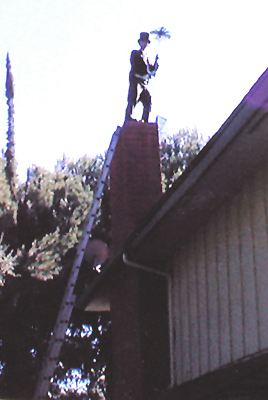 Thanks for visiting the "Ye Olde Chimney Company" web site. We hope you find the information provided on this site useful and informative. Please feel free to email us with any questions or requests for price quotes for servicing your chimney, fireplace or addressing any of the other many services we can provide. We hope to be your first choice when deciding all of your home servicing needs.